My goal is to help you discover how great you can feel, once we've addressed your digestion, energy, weight or hormonal issues (among many others!). You deserve to feel great physically and mentally so that you can live your life to the fullest. I'm not promising miracles, but re-connecting with your inner healing self will change your life - as it has done for many. Being a single working Mum (of two wonderfully active boys), I know what it feels like to be rushed, tired, on a tight budget. So I won't try and squeeze you into a one-size-fits-all program that's totally unrealistic. Quite the contrary, I'll always look at you in relation to your budget, time constraints, other family members you may be living with or cooking for, whether you commute every day, eat out a lot for work etc. My biggest realisation working for years as a Nutritional Therapist was that people do not usually need more information, they need to know how to implement the advice and change the way they think about food, health, bodies, etc. Finding that people kept going back to their old habits after they achieved the goals they first set out, made me realise that I needed to offer something that would change these habits into healthier ones, for good. Health Coaching provided me with the perfect solution: tailor-made curated nutritional advice with ongoing weekly support and transformational tools that would help my patients to implement the advice by making the new habits stick for good. Clients going through my 90-Day Total Transformation Program and my 8-Week Gut Transformation Program were suddenly making changes to the way they thought about food but also about their own self-image, confidence and all areas of their lives. 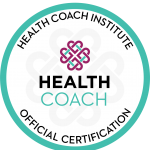 Health Coaching is definitely in my opinion the best way to change your life, which will affect your health but also your confidence, social and love lives, career, and many other areas - PERMANENTLY. I am fully insured and a Member of the Federation of Nutritional Therapy Practitioners and the UK Health Coaches Association.